Manchester City visit Borussia Monchengladbach this evening in their bid to progress to the knockout stages of the Champions League. 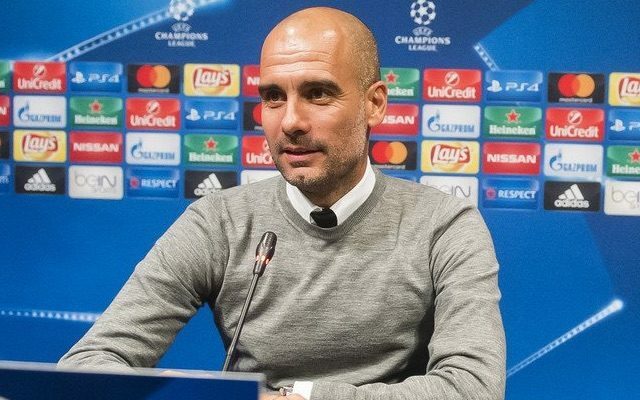 On the back of a big win against Barcelona in the last game-week, City will be full of confidence knowing that they only need a point to reach the next round. Pep Guardiola has, in typical fashion, fielded an expansive side tonight; outlining City’s intentions from the beginning. As per the official Man City twitter account, Guardiola has fielded a back three consisting of Aleksander Kolarov, John Stones and Nicolas Otamendi. Ilkay Gundogan and Fernandinho will anchor the midfield, with David Silva and Kevin De Bruyne playing slightly futher forward. Raheem Sterling and Jesus Navas will provide width for City, with Sergio Aguero playing as a lone centre-forward. Manchester City starting XI: Bravo, Otamendi, Stones, Kolarov, Gundogan, Fernandinho, David Silva, De Bruyne, Sterling, Navas, Aguero. Borussia Monchengladbach starting XI: Sommer, Christensen, Strobl, Dahoud, Raffael, Stindl, Traore, Wendt, Johnson, Jantschke, Elvedi.